When Samsung unveiled the Samsung 960 M.2 NVMe (Non-Volatile Memory) earlier this year, it was inevitable that it would be featured in the TALINO Forensic Workstations. The previous iteration of the Samsung 950 M.2 touted speeds around 2500 MB/s read and 1500 MB/s write speeds. The speeds on the newest Samsung 960 Pro M.2 are a blistering 3500 MB/s read and 2100 MB/s write, which exceeds all other M.2’s on the market. Why is M.2 NVMe Perfect? So, what makes the NVMe a perfect choice in a forensic workstation? It’s quite simple, they perform well, they are extremely fast, and there reliability is unmatched. Also, they are the perfect solution for operating systems, temperature areas, and a database drive. The previous versions of the Samsung 950 M.2 capped out at 512GB for capacity. The latest versions will support up to 2TB in storage capacity, which translates into the perfect solution like the Access Data’s FTK PostGres database, NUIX Cases, and any other volume that requires fast calculations or IOPS. These wonders in computing technology are now available in all TALINO Forensic Workstations. 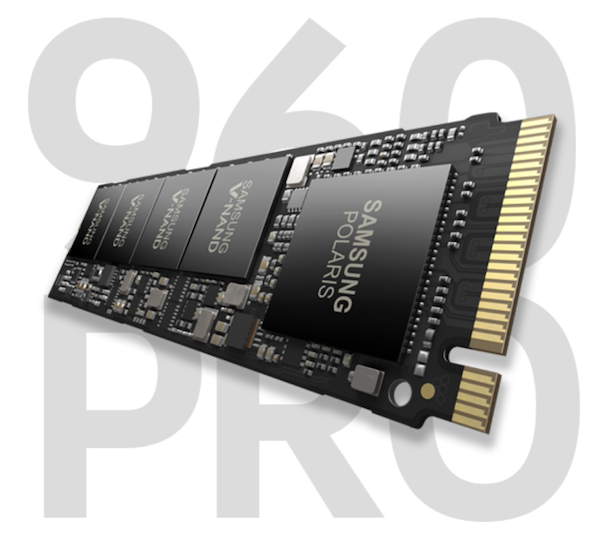 For more information please contact Manny Kressel, the Director of Hardware, via email at mkressel@sumuri.com, or call +1 302.570.0015 if you would like to discuss configuration options and additional benefits of the Samsung 960 Pro M.2 NVMe in your TALINO Workstation.